Ditched by her high school sweetheart, Callum Archer, on the night they're supposed to elope, Jo Kendall casts out on her own, brokenhearted. 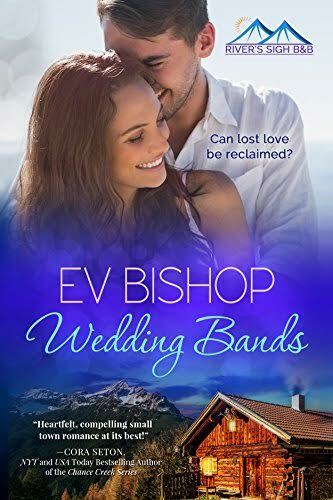 Over the years, Jo reels in a life she loves, centered on the outdoors, fishing (favoring a lucky wedding band lure), and her fine dining restaurant-a life that crashes away when her husband and business partner cheats her, leaving her bankrupt and alone. Then her uncle dies, bequeathing Jo and her sister, Samantha, his rural property. Jo returns to Greenridge, determined to build a new business and permanent home-without the help of a man. Unfortunately Samantha wants her inheritance in cold, hard cash and hires a lawyer to get it for her, a lawyer who turns out to be none other than Jo's long-lost love, Callum. Jo's fledgling plans-and her heart-are at risk once more. If Jo can fight her insecurities, she might end up with a wedding band that doesn't come with a sharp hook. But should she risk everything she has worked for, yet again? Before she can decide, she needs to know: can a lost love truly be reclaimed?